Einsteinium (Es). 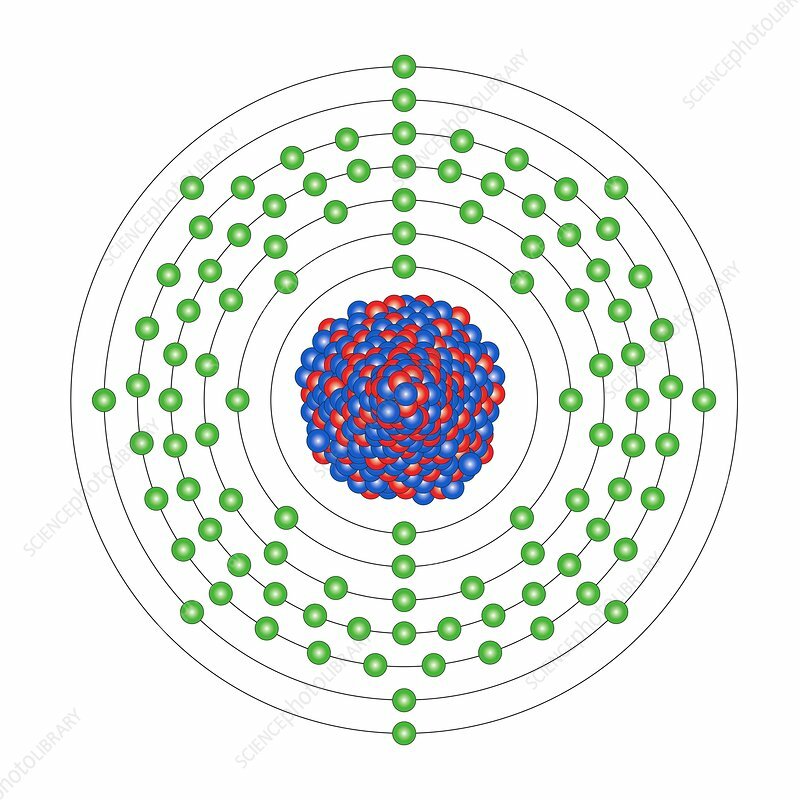 Diagram of the nuclear composition and electron configuration of an atom of einsteinium-252 (atomic number: 99), the most stable isotope of this element. The nucleus consists of 99 protons (red) and 153 neutrons (blue). Einsteinium, first synthesised in 1952 and named after Albert Einstein, is an actinide and transuranic element in period 7, and the f-block of the periodic table. Actinides are soft radioactive metals. Einsteinium-252 has a half-life of 471 days, its nucleus stabilising by alpha decay or beta decay or electron capture.